A greeting card, as the name suggests, is an illustrated piece of card depicting an expression of love or any other emotion. They are not only given on special occasions but also on any other time. They can be sent to convey thanks, sorry, congratulations etc. yourPrint uses special customized software platform that lets you create your own greeting card within seconds. Browse for the preferred occasion at yourPrint from Birthdays to Anniversaries. Greeting cards are available in different sizes including A4 and A5. The measurement of A4 size is approximately 8.3″ x 11.7″, while the measurement of A5 size greeting card is 5.8″ x 8.3″. For most occasions, these 2 sizes of Personalized Greeting Cards are perfect. You can choose among a number of Design Categories at yourPrint while designing your Greeting Card. The print quality is high definition and all greeting cards are printed on a high GSM thick paper. All Customized Printed orders are quality checked before shipping. The personalized greeting cards are made from high quality paper with shiny and smooth surface, unlike ordinary paper, which makes them highly durable and attractive. We use paper quality of 180-200 GSM (Approximate) for printing Greeting Cards. 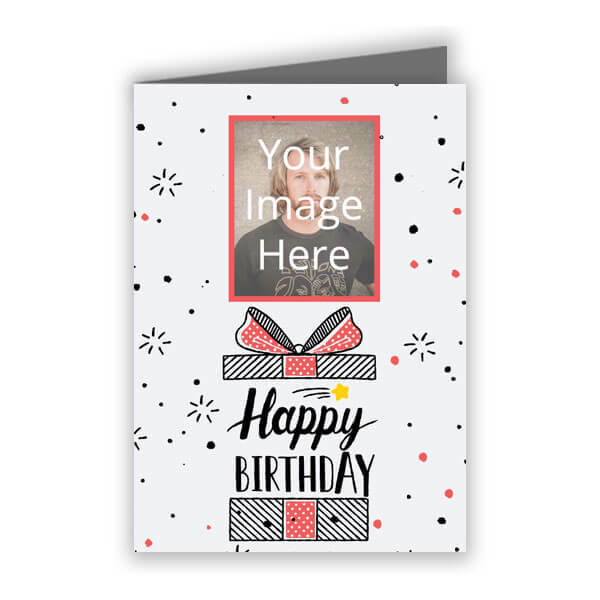 You can add any Image or Text on the front and back sides of the card. You can choose from over 200+ design templates while customizing the Greeting Card. The design templates have been created according to the occasion on which you wish to gift the card. You can upload image while choosing the add image option available. You can upload your favorite picture not only from your phone’s photos but also from social networking platforms like Facebook, Instagram etc. You can also upload an image directly from the web without going through the painful procedure of searching, saving and then uploading. The benefit of customized greeting cards is that you don’t have to force yourself to present the greeting card with the cliched messages, which are mostly meaningless and emotionless. Instead you can create your own text with whichever font that you like. 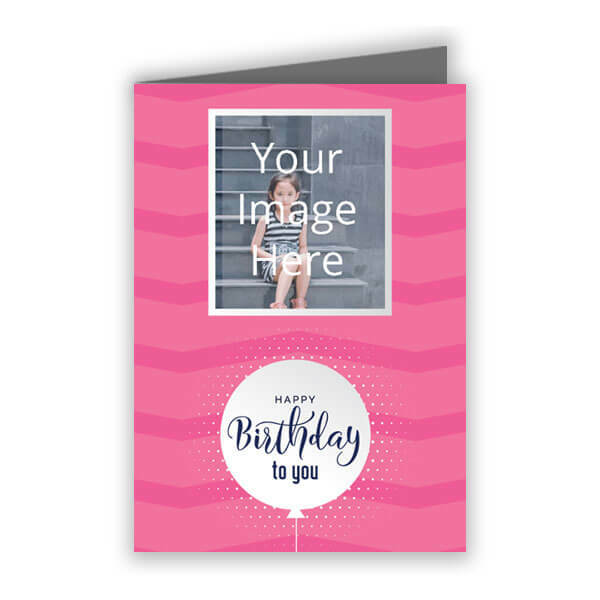 You can add any Image or Text not only on the front but also on the back sides of the card, which make it completely customisable. Make your Loved Ones and Friends feel special with Personalized Photo Printed Greeting Cards from yourPrint. There are a number of occasions on which you can present customisable greeting card including but not restricted to anniversaries, birthdays, weddings, thank you, valentine’s day, everyday etc. We offer wide range of customized greeting cards, making it easier for our customers to choose the right card according to the perfect occasion. The greeting cards are packed with several packing envelopes including plain white colored envelope, printed envelope or transparent plastic bag. You can even send your greeting card with a personalized note for your loved ones.